This collection of recently published and refereed papers comes from workshops and colloquia held over the last two years. 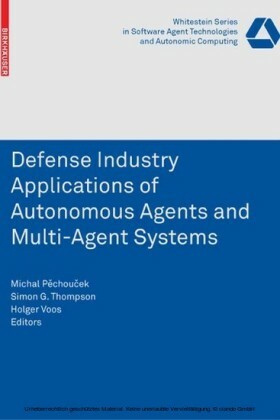 The papers describe the development of command and control systems, military communications systems, information systems, surveillance systems, autonomous vehicles, simulators, and HCI. 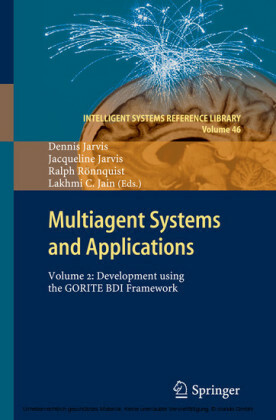 The collection provides for the first time an overview of the most significant advances in the technology of intelligent agents. Abstract. 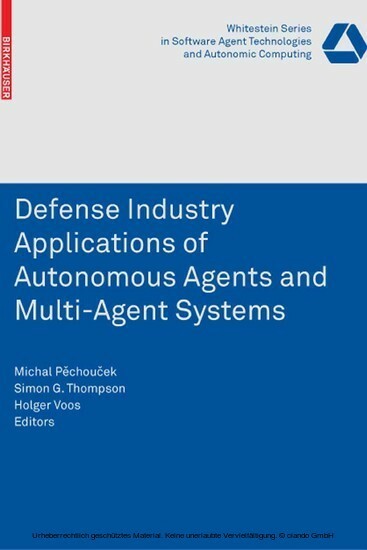 We describe a Multi-Agent System (MAS) for controlling teams of uninhabited air vehicles (UAVs) in the context of a larger system that has been used to evaluate potential concepts of use and technologies. The approach is one of a decision-making partnership between a human operator and an intelligent uninhabited capability. The MAS controls the UAVs and self-organises to achieve the tasks set by the operator with interaction via a variable autonomy interface. 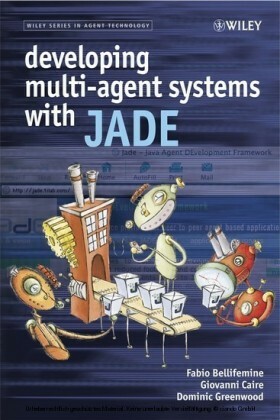 We describe how the agents are integrated with the rest of the system and present a number of system integration issues that have arisen. The overall system has been evaluated in a number of human-inthe- loop trials within a detailed synthetic environment. Uninhabited vehicles can be used in many applications and domains, particularly in environments that humans cannot enter (e.g., deep sea) or prefer not to enter (e.g., war zones). Uninhabited air vehicles (UAVs) are of particular interest to the defence sector because they have the potential to significantly reduce the risk to aircrew in military operations. The promise of relatively low cost, highly reliable and effective assets that are not subject to the physical, psychological or training constraints of human pilots has led to much research effort across the world. Current systems, such as Predator or Global Hawk, require multiple operators to control a single platform. 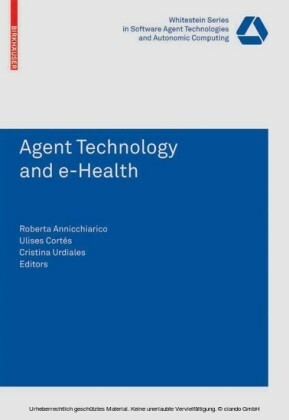 This chapter describes an approach to allow a single operator to control multiple platforms which has been evaluated in a number of human-in-the-loop trials within a synthetic environment (SE). The concept is one of a decision-making partnership between a human operator and an intelligent uninhabited capability. The human provides mission-level guidance (with support from planning tools, etc.) to the "pool" of co-operating UAVs and takes on a largely supervisory role. The UAVs self-organise to achieve the goals set by the operator. Due to regulatory or liability issues, some critical decisions will have to be made by a human. Therefore, the uninhabited capability must refer such decisions to the operator. This concept has been implemented using a variable autonomy interface onto a multi-agent system, as part of a larger trials system. The trials system is used to evaluate potential concepts of use and technologies. It is therefore not a static system but one in which different subsystems (such as different human machine interfaces) can be inserted and evaluated. SE based trials enable the key requirements for the decision-making partnership to be captured. The elements of the system have evolved in response to feedback from trials (subjective comments and objective performance measures) and changes to the concepts of use. 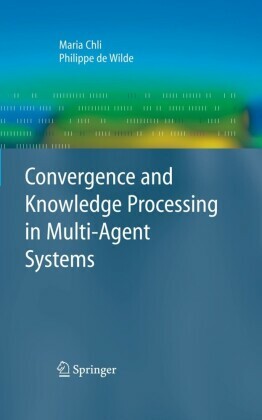 A multi-agent system (MAS) provides a natural and powerful way of representing multi-platform tasks and sets of coordinated and cooperating agents. 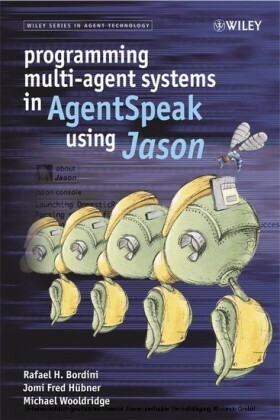 Agents carrying out tasks which are clearly linked to a single platform can be hosted on that platform while more general purpose agents can spread out amongst the platforms. 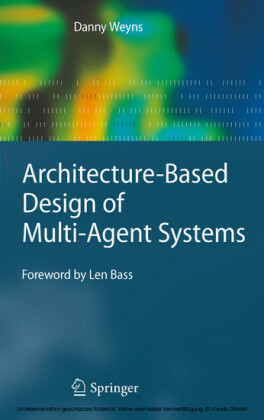 Planning systems can be integrated into the system by producing agents to wrap them. The scenario used for the trials was a time-critical targeting mission against a high value, mobile target. A package of four UAVs was deployed to locate and destroy the target. The operator was the pilot of a single-seat fighter, operating outside of the threat range of ground-based anti-aircraft defences. The UAVs are equipped with (long- and short-range) sensors and weapons. The mission consists of two main phases: search and attack. An example run is described in section 5.